It's less than you think! The average cost of a wedding in the US is around $30,000 to $40,000. You can have the most beautiful destination wedding for a fraction of that price. Some people think they need a good reason to go on vacation (which we don't agree with!) For your destination wedding, it's already a vacation for you and your guests! Unless you're planning multiple group events during the entire week of your wedding, your guests have a ton of free time to enjoy and do whatever they want. It's a win win for everyone! Once you decide where and when your wedding will be, you are half way done! While working with us, we are arranging your and your guests vacation packages. 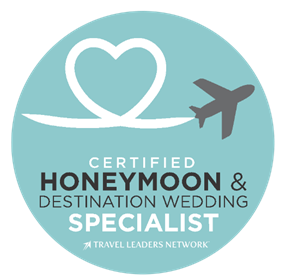 We take care of the work on this side, and your wedding planner at the destination is working on that side to make your wedding dreams come true. We can take care of it and let you enjoy being engaged!